What? 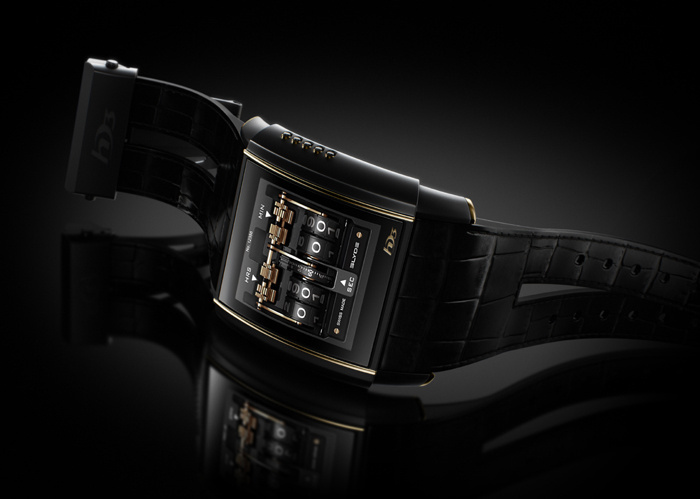 High end Swiss watch brand, Slyde, are the innovators behind HD3 – the watch with an unique curved touchscreen. Designed and manufactured by ESCATEC, the watch allows users to display photographs, videos, calendar and of course the time. The watch face and back is curved to follow the shape of the wrist, allowing better ergonometry. Prices start from $5,500.